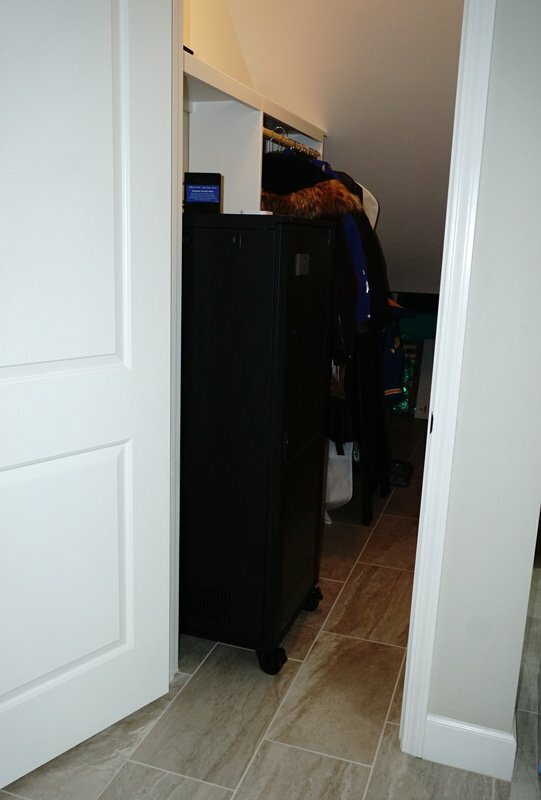 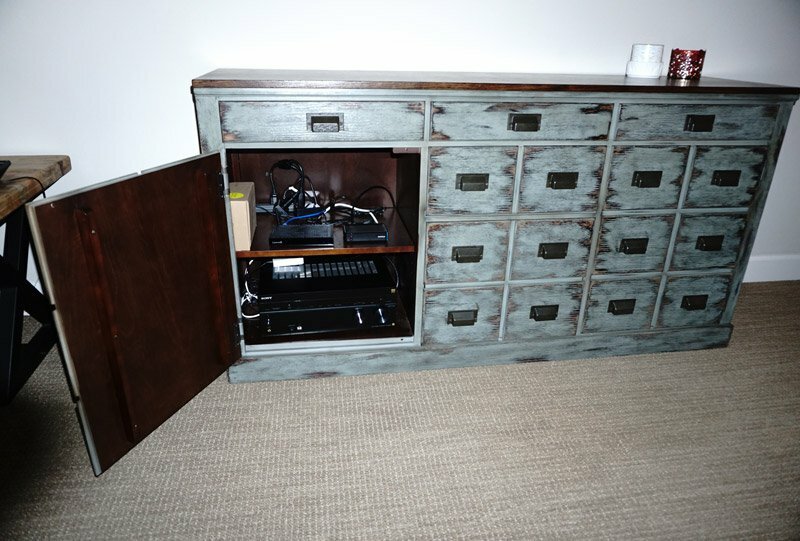 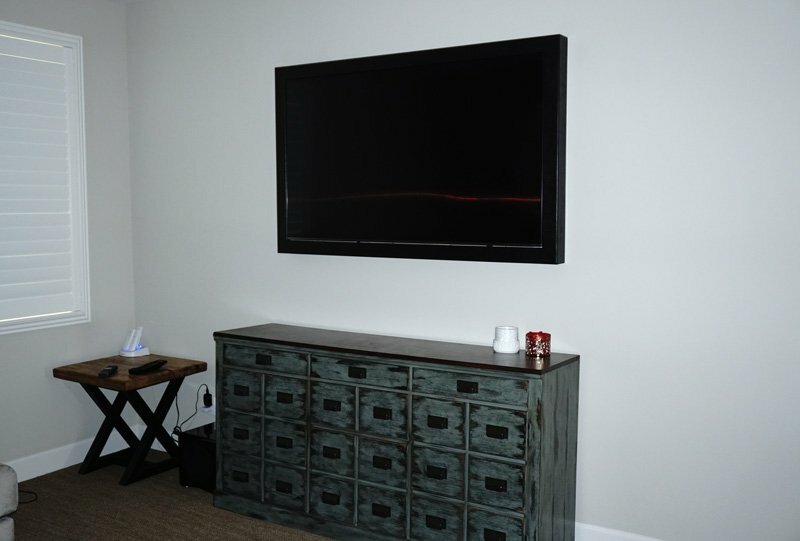 Great Room: The great room TV’s equipment are all concealed in a rolling equipment rack. 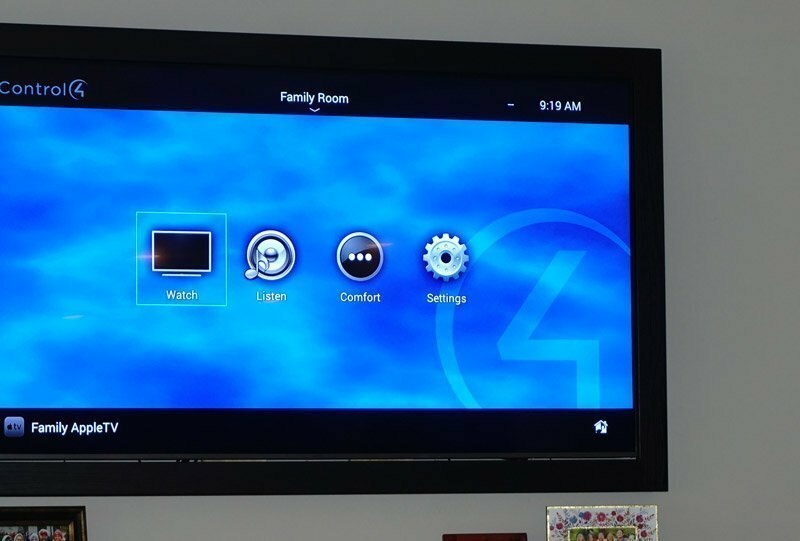 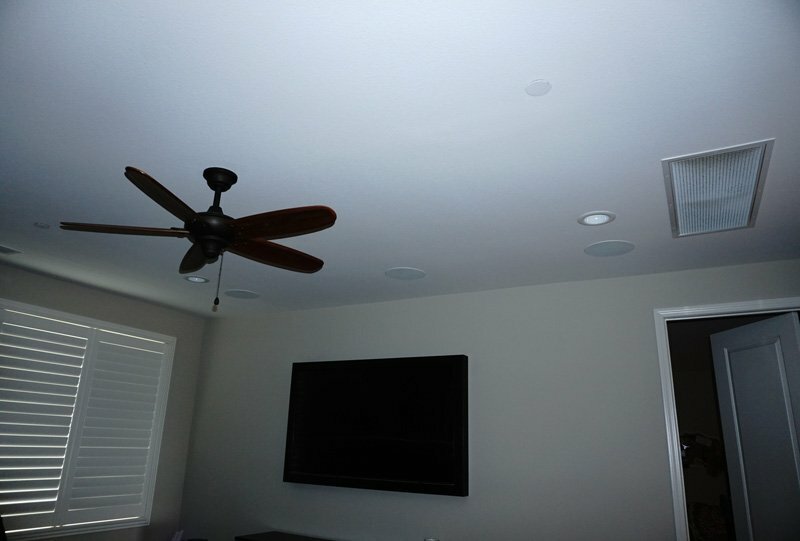 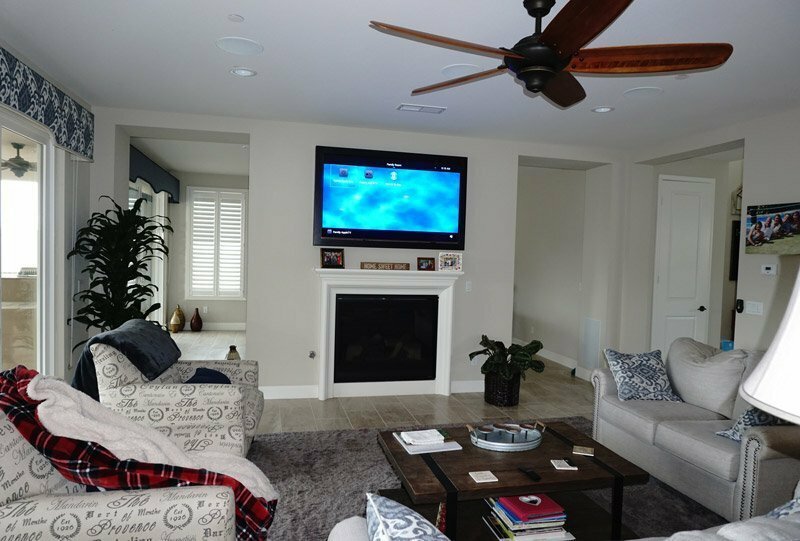 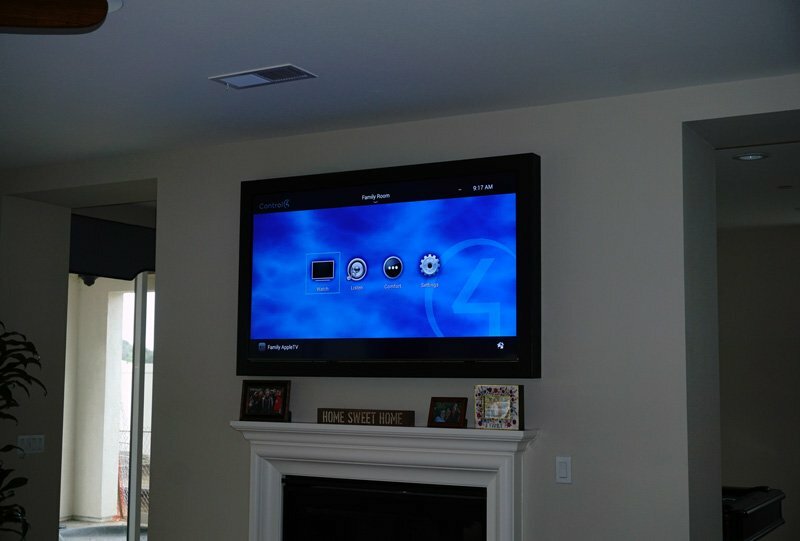 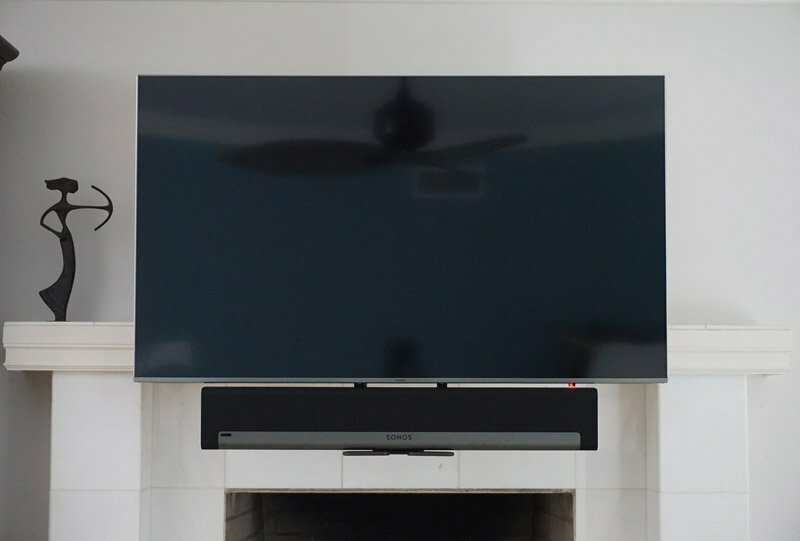 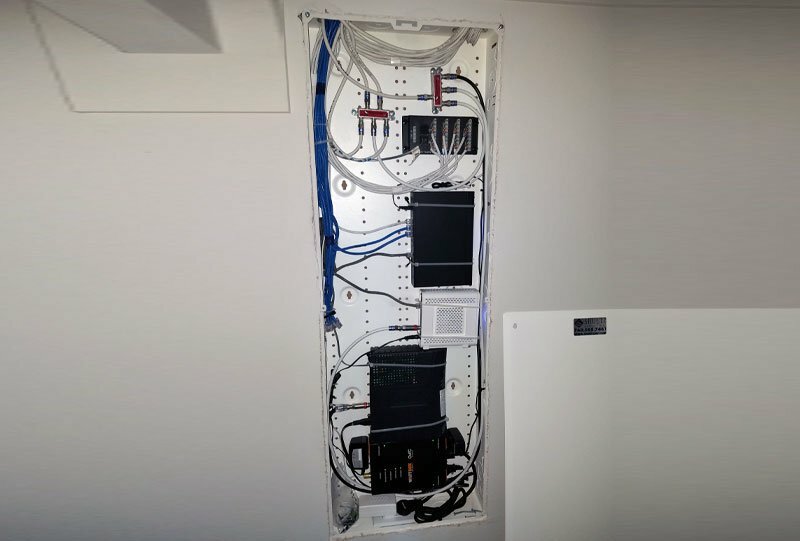 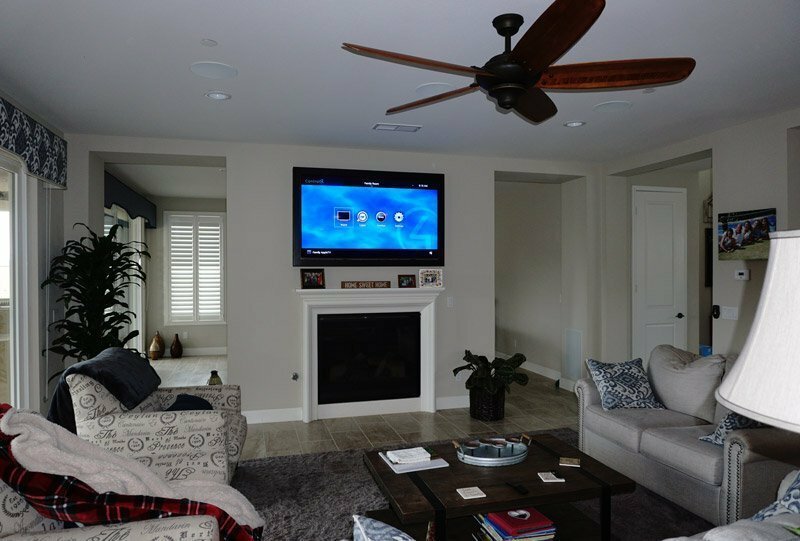 Sony AVR, Control4 EA-1 wit SR-260 remote control everything with in ceiling Episode (point) speakers for the front, center, and rears. 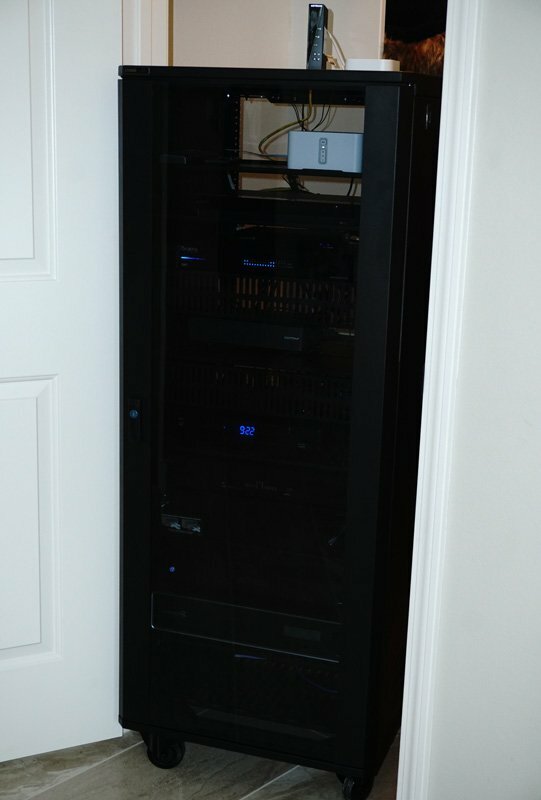 Additionally, we installed an Episode Dual 8″ in-wall subwoofer. 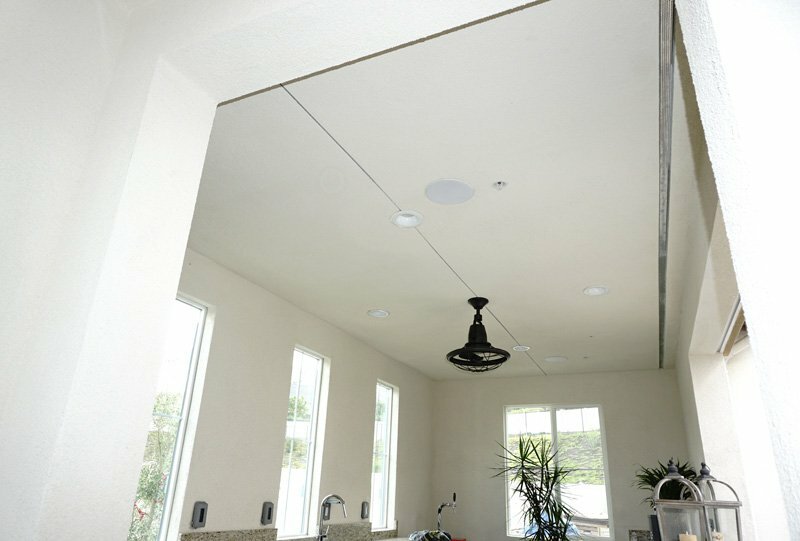 Loft: In the loft there is a Sony AVR with Triple 8″ Episode subwoofers with 6″ In ceiling (point) speakers which is controlled with a C4 EA-1 and hard button remote. 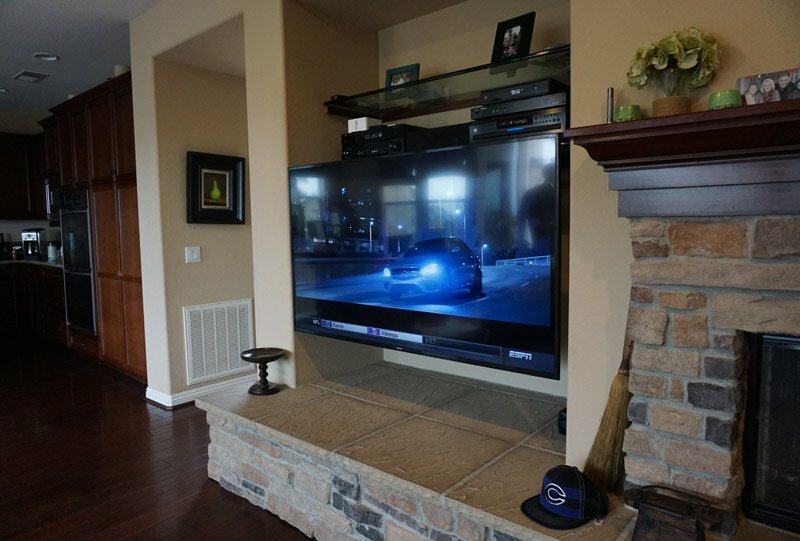 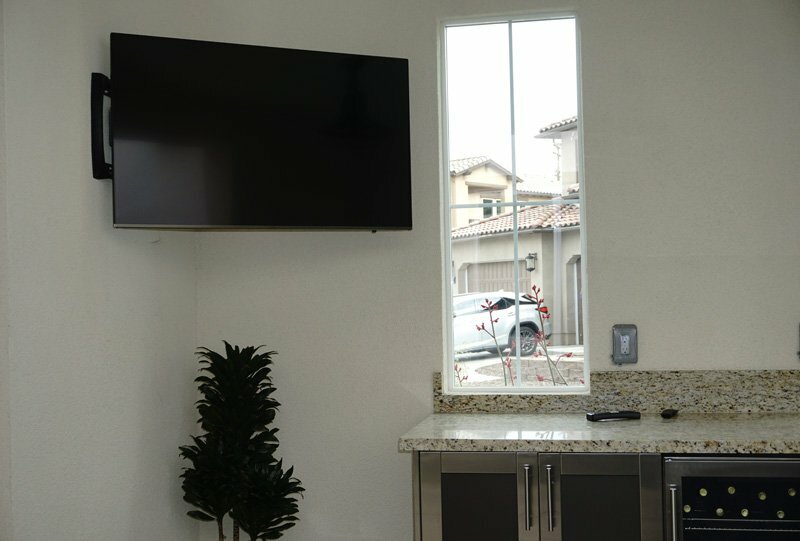 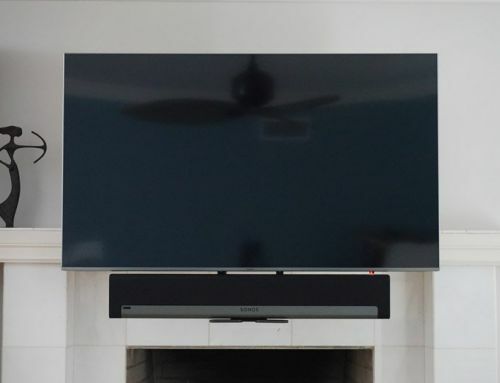 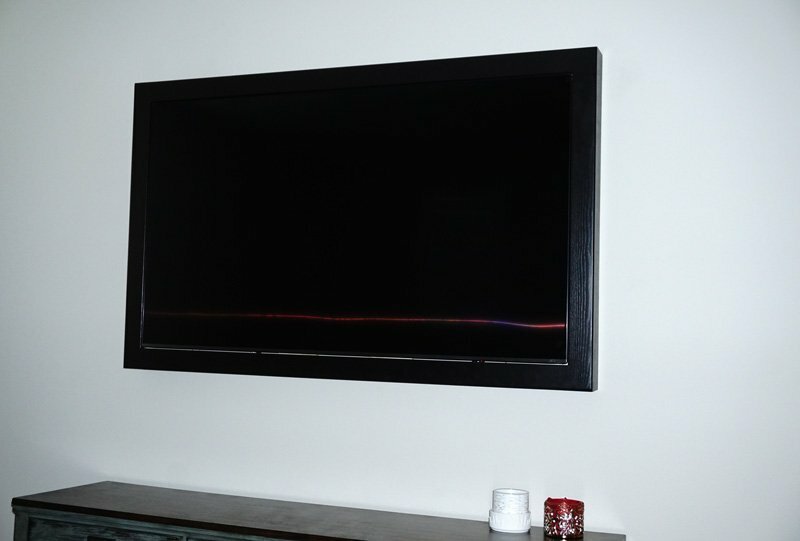 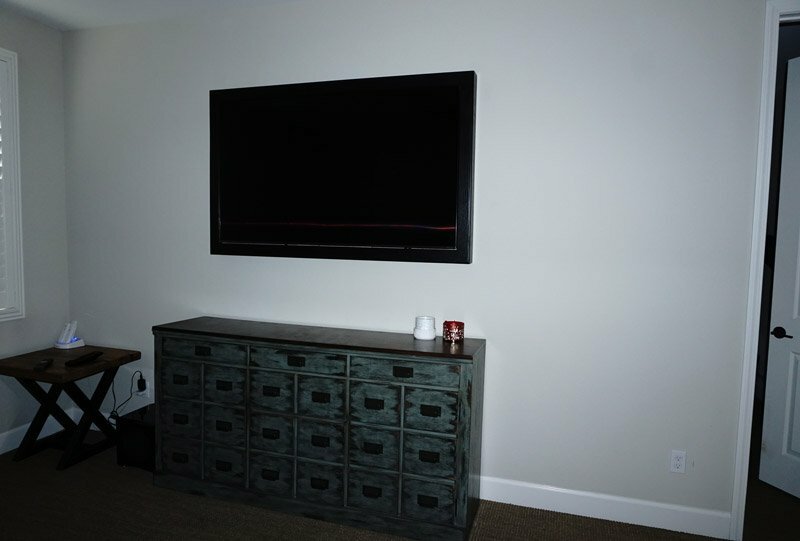 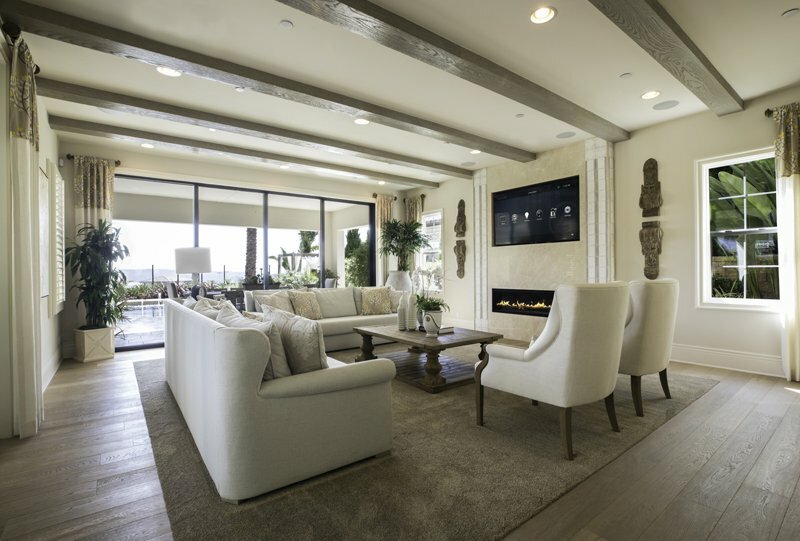 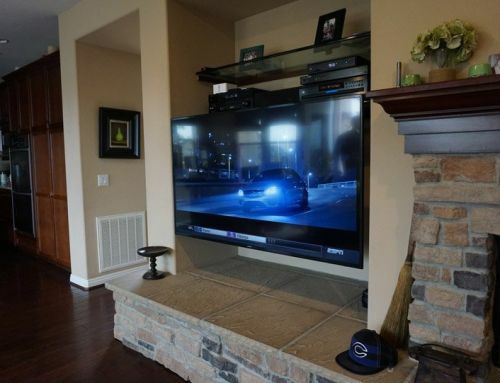 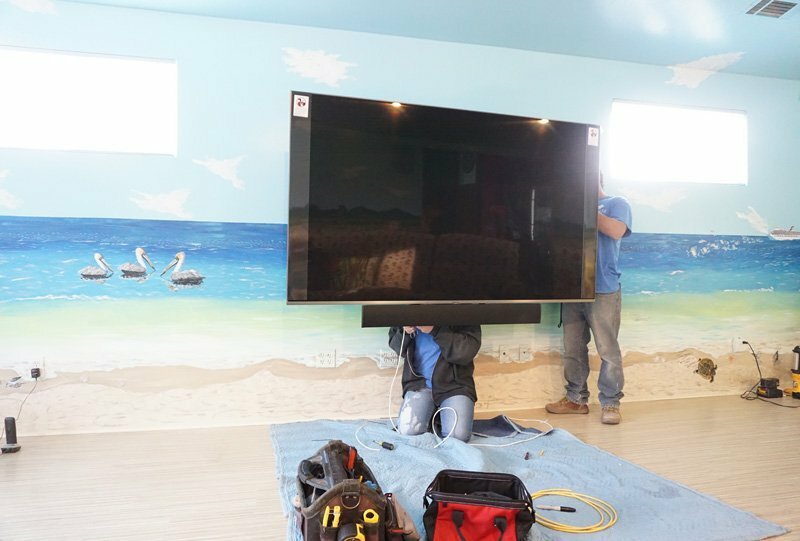 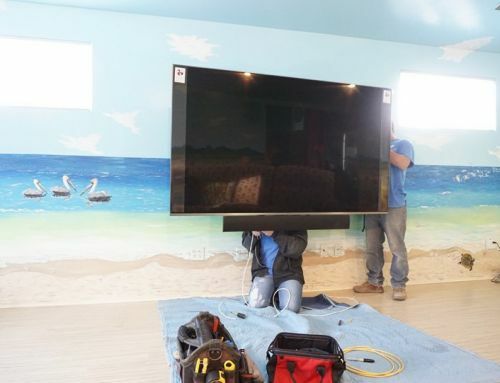 Additionally, Leon Speakers who offers the Media Décor Series, is an elegant collection of media concealment solutions that transforms any TV or speaker into an artistic focal point (as seen in the photo with the TV that is framed). 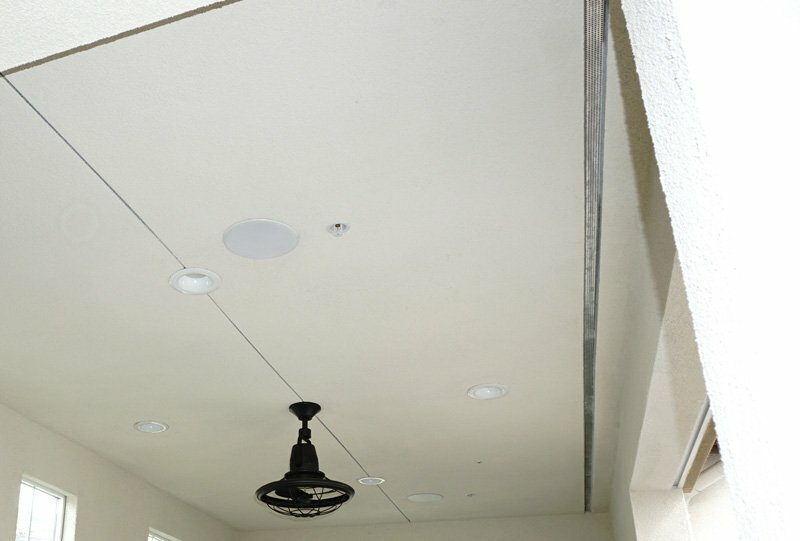 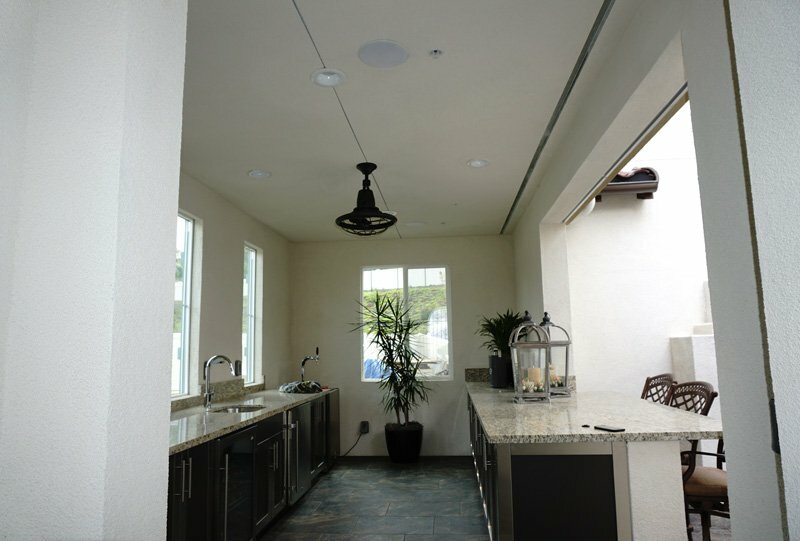 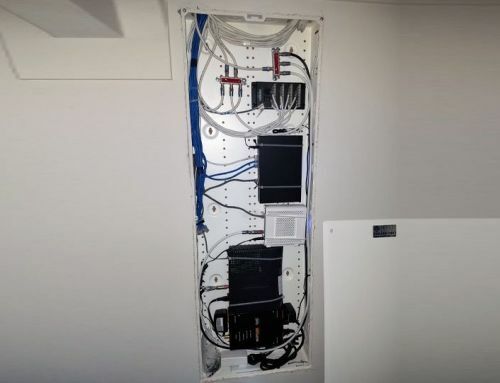 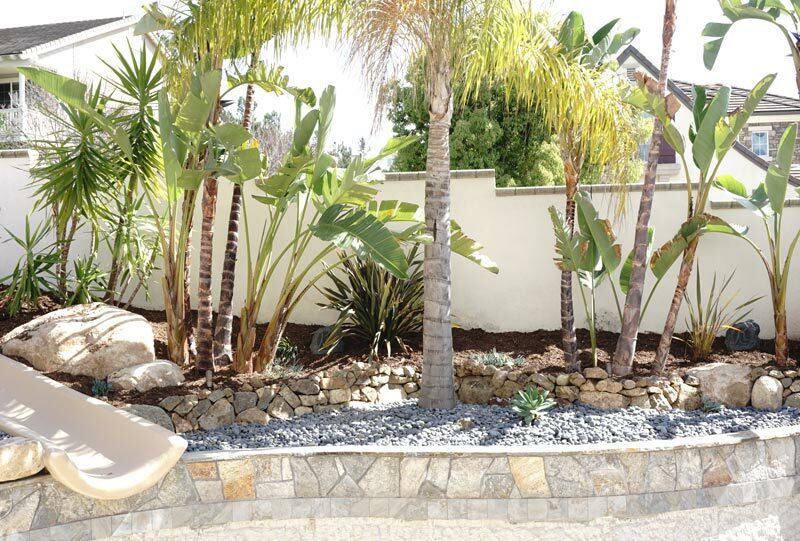 Whole House Audio: We installed Triad in ceiling speakers throughout the house and outdoor bar area with Triad amplifier and mixer.